International car companies are looking at Africa as the last frontier for automotive growth, beginning a scramble for market share. South Africa is the only country south of the Sahara with an established motor manufacturing industry and some of the world’s biggest car makers hope to use it as a base from which to expand sales around the continent. German brands such as BMW and Volkswagen; Ford, Chrysler and General Motors from the US; and Japanese manufacturers Nissan and Toyota already have plants in the country. While most cars are sold locally, many are exported, mostly to Europe and the US. Now Africa is the target. In April, Ford said it would invest 2.5 billion rand (Dh626.57 million) in its production plant in Pretoria, in the north of the country, to produce one of its latest products, the Everest sport utility vehicle. This follows last year’s commencement of manufacturing the Ranger pickup. Both vehicles were introduced with the African market in mind. Bayerische Motoren Werke AG (German pronunciation: German for Bavarian Motor Works), usually known under its abbreviation BMW, is a German luxury vehicles, motorcycle, and engine manufacturing company founded in 1916. Headquartered in Munich, Bavaria, Germany, it also owns and produces Mini cars and serves as the parent company of Rolls-Royce Motor Cars. BMW produces motorcycles under BMW Motorrad, and plug-in electric cars under the BMW i sub-brand. It is one of the best-selling luxury automakers in the world. The company is a component of the Euro Stoxx 50 stock market index. South Africa BMWs have been assembled in South Africa since 1968, when Praetor Monteerders’ plant was opened in Rosslyn, near Pretoria. 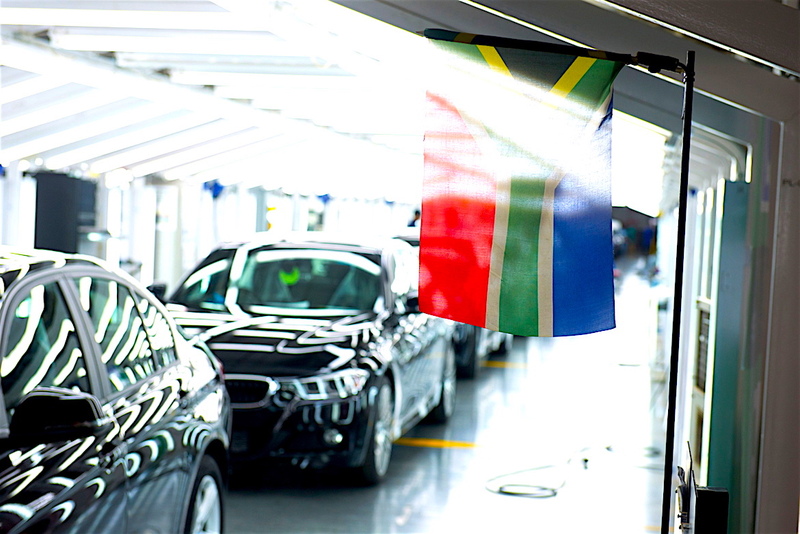 BMW initially bought shares in the company, before fully acquiring it in 1975; in so doing, the company became BMW South Africa, the first wholly owned subsidiary of BMW to be established outside Germany. Three unique models that BMW Motorsport created for the South African market were the E23 M745i (1983), which used the M88 engine from the BMW M1, the BMW 333i (1986), which added a six-cylinder 3.2-litre M30 engine to the E30, and the E30 BMW 325is (1989) which was powered by an Alpina-derived 2.7-litre engine.